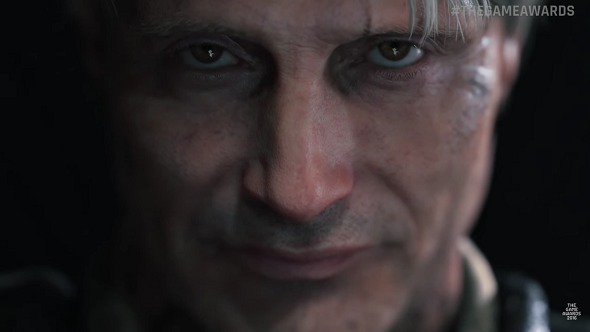 If you caught Death Stranding’s second trailer at The Game Awards 2016 (embedded above in case you didn’t), you would have seen Hannibal actor Mads Mikkelsen appear in his first videogame role. Being a Hideo Kojima game, you might not have a clue what the hell is going on but don’t worry, neither does Mads. Keep an eye on our upcoming PC games list for more news. In an interview with BMD,Mikkelsen admits he didn’t really get the plot when Kojima explained some of it to him. “It’s very intricate,” Mikkelsen says. “I mean, you know (Kojima). He’s a very brilliant man. I mean… the stuff he told me? I only understood some of it. Old Mads isn’t really into gaming himself, but after landing the role he was shown some of Kojima’s work and he realised he was familiar with it, at least peripherally. The actors son was far more clued up, however. “When I told my son he was like, “What? !,” Mads laughs. The acting work Mikkelsen is doing for Death Stranding will be all done via motion-capture, which he has also experienced with Star Wars: Rogue One and Doctor Strange. It’s nowhere near the amount that there will be in Death Stranding, though. It’s a different kind of motion capture to what Mikkelsen is used to, too. Whereas a few modern studios are leaning towards full performance capture these days, with the actors in a scene recording their lines together – since acting is about reacting – Kojima is going for a more traditional approach.